In November, analysts from the Ostrogorski Centre gave reasons for Belarusian President Alexander Lukashenka not attending the Eastern Partnership summit, assessed growing international support for Belarusian peacekeepers in Ukraine, and outlined how geopolitics increase the heft of the Roman Catholic Church in Belarus. The Ostrogorski Centre and the Faculty of Law of the Belarusian State University with the support of the British Embassy will hold a conference on the reform of legal education on 28 December 2017 in Minsk. 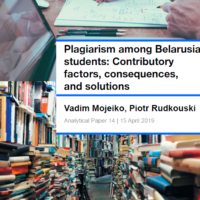 The Ostrogorski Centre has also continued to update the Belarus Policy database of research papers in the areas of economy, governance, and politics. Igar Gubarevich tries to answer the questions why the time was not ripe for Belarusian President Alexander Lukashenka to visit the Eastern Partnership (EaP) summit, where EU leaders met with six Eastern neighbouring nations—Armenia, Azerbaijan, Belarus, Georgia, the Republic of Moldova, and Ukraine—to discuss how to achieve stronger cooperation in economy, governance, connectivity and society. After a lengthy pause, Lukashenka declined the European Union’s invitation to lead his country’s delegation at the EaP summit in Brussels. Why did the Belarusian leader deliberately miss the long-awaited opportunity to rub shoulders with Europe’s most powerful men and women? Few politicians and experts expected such a decision. Speculations abounded about Lukashenka’s motives, including the lack of Russian President Vladimir Putin’s approval, German Chancellor Angela Merkel’s refusal to meet the Belarusian peacemaker, and a wish to avoid the possibility of protesters in Brussels. Siarhei Bohdan discusses how Minsk is working to secure the support of key international players for an active role in defusing the Ukrainian crisis. Minsk wishes to find a new, international niche for itself through engaging in conflict resolutions. A central goal is to cast off the tired “last European dictatorship” epithet. At the same time, the volatility of the region has pushed Belarus along this course of action. Russian support is uncertain and increasingly limited. Thus, the Belarusian government has tried both to defuse at least some tensions around Ukraine and to gain more international respect. 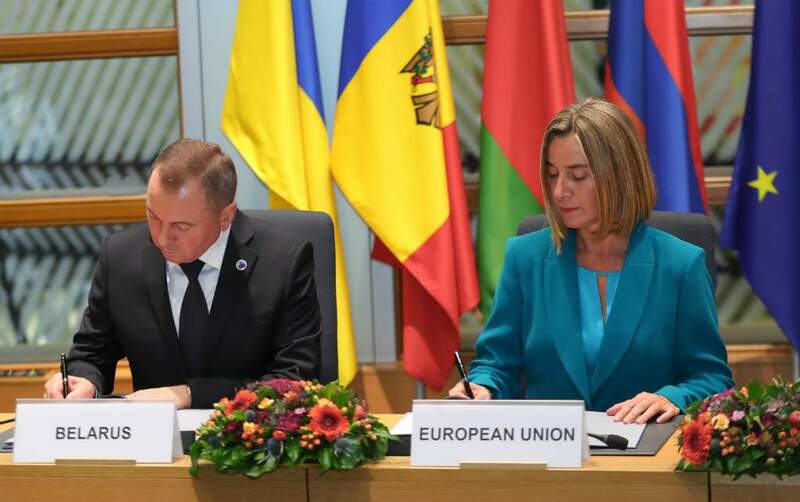 Until now, Minsk’s efforts to become more neutral have appeared problematic. Moscow, in general, has never appreciated these attempts. The West has been unsure of Belarusian claims of neutrality. However, if Belarus does deploy peacekeepers in the Donbas Region, then arguably Russia, the West and other neighbouring states would, in effect, be validating Belarus’s right not to choose sides. Vadzim Smok analyses how geopolitics increase the heft of the Roman Catholic Church in Belarus. This year, the Catholic Church strengthened its criticism of unjust state policies against it when compared with the dominant Russian Orthodox Church. Against a backdrop of warming Belarus-West relations, the Catholic Church seems to feel more confident and, therefore, more able to publicly voice its problems with the authorities. Meanwhile, Minsk realises the importance of the Church for reaching its strategic goals and understands it will have to listen to Belarusian Catholics more carefully. To submit a paper or panel proposal, please complete an online registration form at http://tinyurl.com/belauk2018 by 15 December 2017. Successful candidates will be notified by 5 January 2018. The working language of the conference is English. On 28 December 2017 in Minsk, the Ostrogorski Centre and the Faculty of Law of the Belarusian State University with the support of the British Embassy will hold a conference on the reform of legal education. The Conference will be held at the Faculty of Law of the BSU (8 Leninhradskaja Street). Rule of law is an indispensable foundation for a market economy, which provides an essential environment for the creation and preservation of wealth, economic security, well-being, and for improving the quality of life. Establishing the rule of law has been a challenge for all post-Soviet states in their transitions to a market economy and economic growth. Meanwhile, in Belarus, where the role of the state in the economy remains strong, further development of the legal system and training specialists in law should be a priority. This conference will focus on legal education and its potential role in the reform process in Belarus. It will enable the British and Belarusian academics, businessmen and officials to discuss best practices and trends in legal education. In particular, the panels will discuss the organisation of the educational process, the development of professional skills for students and specialists, as well as opportunities for international cooperation in the field of legal education. Impressed by the US electric car Tesla, President Lukashenka ordered Belarusian manufacturers to produce a domestic analogue. Neighbouring Moscow and Warsaw also have plans for a transition to electric vehicle manufacturing. The Russian government is working on a comprehensive program of support for the development of its electric car industry, while Polish leaders expect to produce one million electric vehicles within 5 years. Ostrogorski Centre analyst Vadzim Smok discussed on Radio Poland whether Belarus will succeed in becoming a pioneer in the production of electric vehicles in the region. The UAE is a kind of hub for the Arab region, through which Belarus can access a number of rich countries that have ties with the West. In addition, sheikhs from the UAE are investing considerable funds in various projects in “third countries,” a term for countries outside the EU. 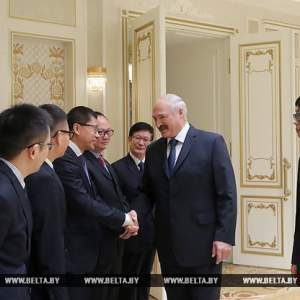 Due to its friendship with the UAE, Belarus could also participate in these investment projects. Indeed, Emirate investments could also go directly to Belarus, which is already happening. Naviny.by, a web-based news portal, quotes Ostrogorski Centre associate analyst Siarhei Bohdan in фт article about the recent visit of Alexander Lukashenka to the UAE. Over the last few months, Alexander Lukashenka appointed a number of new military chiefs who have never studied at Russian military schools. This is in contrast to the majority of the new appointees’ peers. In addition, certain candidates for official positions known to speak Belarusian on a daily basis also received high posts. Ostrogorski Centre analyst Vadzim Smok on Radio Poland discussed whether this indicates ‘Belarusianisation’ of the government is intended to strengthen the country’s independence and national identity. Piotr Rudkouski. Soft Belarusianisation. The ideology of Belarus in the era of the Russian-Ukrainian conflict. BISS, 2017. Andrei Sushko, Dzmitry Valodzin. E-participation as an instrument of inclusive public administration. BIPART, 2017. Anastasiya Luzhina. 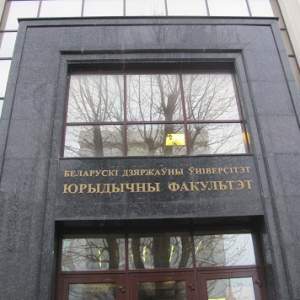 Elimination of corruption and tax evasion in the construction sector of Belarus. BEROC, 2017. Alexander Chubrik. The impact of the recession on the regions of Belarus: the role of starting conditions, economic policy and small business. IPM Research Centre, 2017. Hleb Shymanovich. Development of small and medium business in Belarus in 2016. IPM Research Centre, 2017.